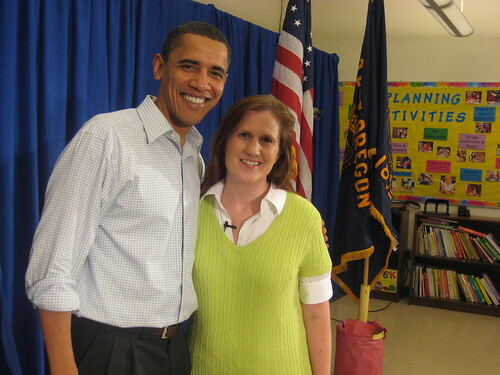 Senator Barack Obama & Erin Kotecki Vest -Yes ME! Senator Barack Obama answered the questions drafted by the BlogHer community in an exclusive, one-on-one, video interview in Roseburg, Oregon. More to come-check BlogHer for the video as I travel from Eugene, Oregon home to Los Angeles.